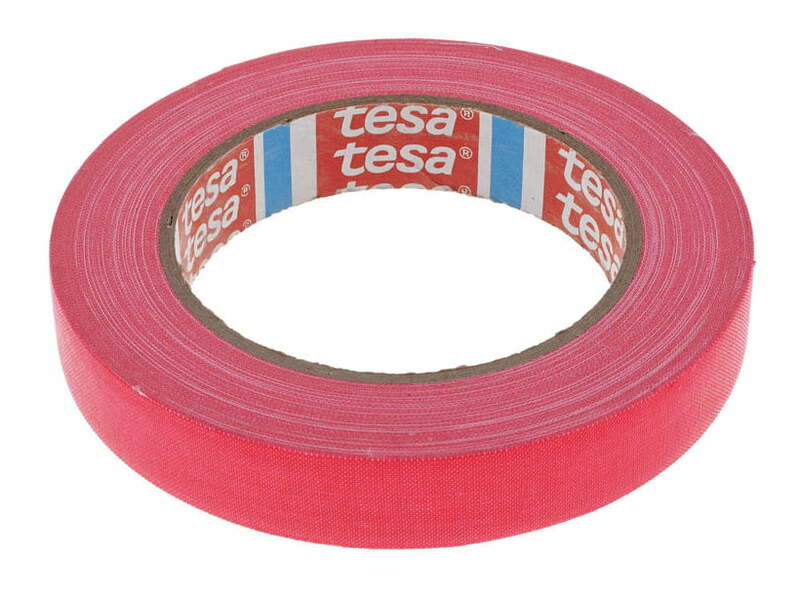 tesa® 4671 is a strong acrylic coated cloth tape. It is based on a 120 mesh woven rayon fabric backing and a natural rubber adhesive. tesa® 4671 is the premium gaffer tape in the assortment for "Arts & Entertainment" applications. . The product also comes in four special fluorescent colours: pink, orange, yellow, and green.